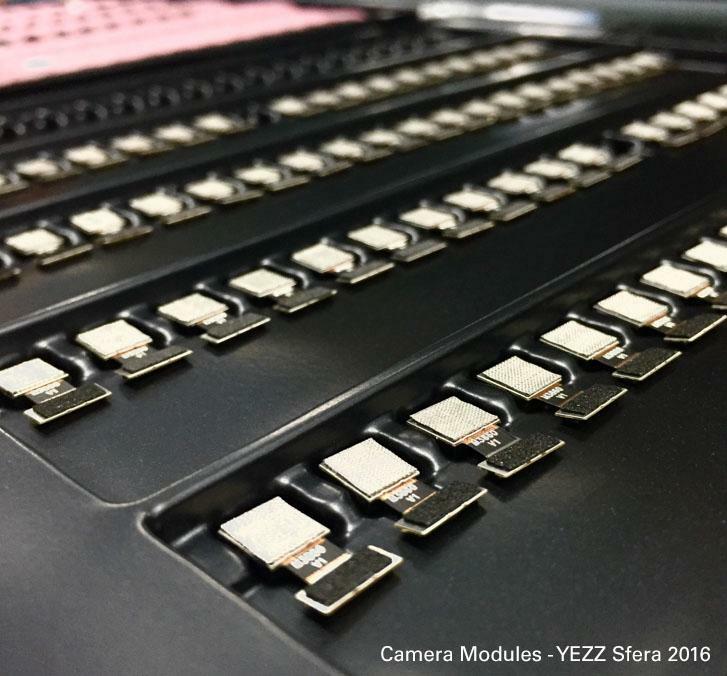 Stereowise Plus: YEZZ Sfera latest developments: An exciting year start to Virtual Reality. YEZZ Sfera latest developments: An exciting year start to Virtual Reality. Miami - February 22nd, 2016 - As MWC 2016 kicks off, the unveiling of products in the VR segment is growing. While many concepts are entering the media, YEZZ Sfera development is under way. Announced earlier this year at CES 2016, the YEZZ Sfera is a project currently under development by the YEZZ brand. The project aims to build the first mobile device that features camera technology that generates a virtual reality experience when capturing 360 degree images and videos for its user. Virtual reality has long been an inaccessible niche, limited by price, functionality, and mobility. However, with the advancements of innovation in this sector made by the YEZZ Sfera, this technology truly becomes accessible to the masses. By utilizing this technology, patented by 360 Lab, YEZZ has now, for the first time ever, made it possible for the user to capture everything around them in the same instant by stitching the input from the front and rear facing cameras into one spherical image or video. The YEZZ Sfera will offer the MediaTek Helio processor which features a 2.0 GHz Octa Core Cortex A-53. The LTE device features a 5.5" HD display, 32GB ROM and 3GB RAM, an optional external memory of up to 64 GB, a 360 degree HD camera with special lenses and will be launched with Android 6.0 Marshmallow. MediaTek Helio™ is the flagship smartphone processor family that delivers cutting-edge processor performance, long-term endurance and efficiency, and premium multimedia experiences. With eight completely independent cores, MediaTek's True Octa-core processors combine industry-leading performance with outstanding energy efficiency. By choosing MediaTek Helio™ solution, YEZZ delivers outstanding multimedia performance. The development team has shared that they have been progressing quickly with the intention of having a full working model to display right after MWC 2016. See the latest updates and stay tuned on Twitter @YezzMobile for updates coming after MWC 2016. YEZZ, a worldwide mobile brand, specializes in the creation of custom devices that bestow upon the world an ultimate mobile communication experience. YEZZ is ingenious and adaptable; seamlessly detailing, designing, and developing a tailored mobile experience. Beyond technological innovation, YEZZ is devoted to creating consumer empowerment within the world of communication. With a diverse portfolio of open market devices, YEZZ promotes the freedom of choice in the design of the individual mobile lifestyle.